During today's earnings call for the third quarter of 2018, Apple CEO Tim Cook said that Apple plans to bring Apple Pay to Germany later this year. In addition to announcing Apple Pay's upcoming German launch, Cook also said that Apple Pay will be rolling out at CVS drug stores and 7-11 convenience stores in the United States later in the year. Is it actually going to happen?! 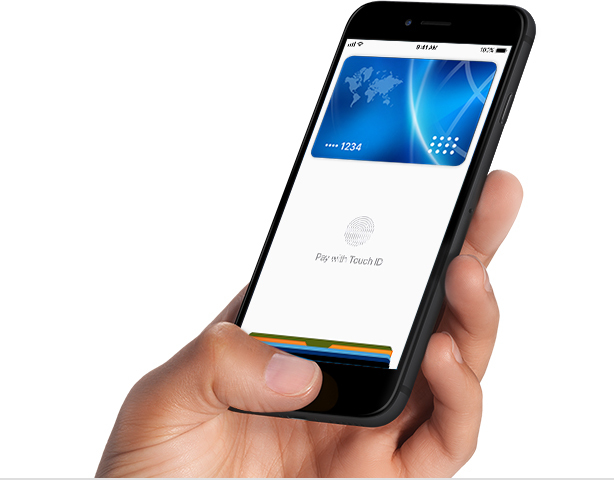 In addition to announcing Apple Pay's upcoming German launch, Cook also said that Apple Pay will be rolling out at CVS drug stores and 711 convenience stores in the United States later in the year. At least CVS is finally reenabling their contactless payment systems. Apple Pay used to work at CVS when it was first launched. Then, CVS wanted to push their own payment system with all those other retailers (forgot its name). That system tanked, and now CVS has finally come back around. Well that and CVS didn't like that they couldn't data mine the F out of Apple Pay users since it obfuscates the real card numbers so they can't track the card numbers attached to the person and create profiles on their shoppers. CVS -- glad those bastards finally got their heads out of their asses. I remember successfully using Apple Pay at CVS the very day the service launched, and then a couple of days later all the contactless terminals had black electrical tape crudely applied over the contactless payment logos. Glad they’ve seen the light. I will cherish this headline forever. Thank you. Very excited to see which German banks are jumping on the Apple Pay train. They will be rewarded by me opening an account with them (in case my current bank - Sparkasse- isn't joining... and I'm assuming they're not thanks to their backward view on banking). It was CurrentC, which died but then some of the loose limbs were resurrected into what is now Walmart Pay. Sad because it likely means they will remain a holdout for much longer than the rest. Target as well.